For those seeking over-the-top luxury, shameless pampering and gracious hospitality, it’s hard to top the glitzy and glamorous ‘Little England’ of the Caribbean - Barbados. Here’s our pick of the island’s 10 swankiest sleeps most worth getting excited about. The setting: On the south-eastern coast overlooking the breakers of the Atlantic Ocean and the fabled powder-soft pink sands of Crane Beach. The sleep: It’s all about the suave dark woods, coral walls, rich mahogany finishes and designer detailing in the 252 rooms and suites. Expect statement-making four-poster beds dressed with deluxe linens, marble-clad bathrooms with deep-soaking Jacuzzi tubs, well-equipped kitchens, flatscreen TVs with cable channels, and Wi-Fi access. Furnished terraces or balconies overlooking the turquoise-tinted sea or landscaped gardens wrap things up nicely. 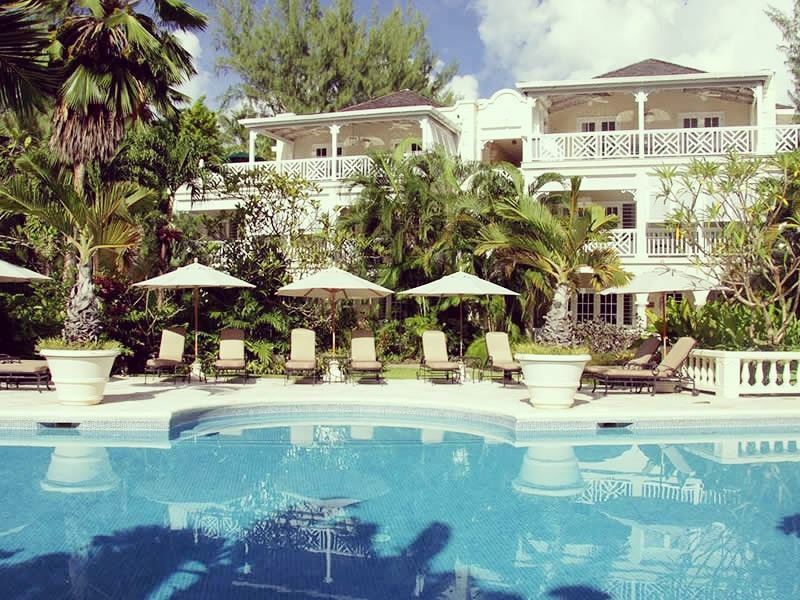 The scene: Built in1887, Barbados’ first-ever resort sets the bar rather high for island stays. There’s an eye-poppingly brilliant pool complex with waterfalls and whirlpools, a supersized village area complete with craft market and art gallery, and state-of-the-art gym with yoga and zumba classes. Further temptations include floodlit tennis courts and a peaceful spa for bliss-you-out treatments. On the dining front, there’s Zen for Japanese cooking, L’Azure for Caribbean specialities, The Carriage House for grills, and Bar1887 for sunset cocktails. The setting: Between lush tropical gardens and the talc-white sands of Dove Beach. You’ll be on the south coast, just 10 minutes from the buzzy bars and clubs of St Lawrence Gap. The sleep: The look in the 280 rooms and suites is one of boutique-chic décor and grown-up glamour. Following a top-to-toe makeover in January 2015, all come with a signature king-size Tranquillity Blissful Bed, terrace or balcony, and marble bathroom with his-and-hers vanities, deep-soaking tub and walk-in rain shower. There’s a whopping 14 categories to choose from, but for ultimate splash-out book a Swim-Up Suite that has a Tranquillity Soaking Tub for two. The scene: This adults-only playground has three decent-sized pools, two Jacuzzi tubs, and a round-the-clock activity schedule that includes scuba diving for PADI-certified divers, kayaking, hobie cat sailing, pilates, and volleyball. There’s also a divine spa, yoga pavilion, state-of-the-art gym with fitness classes and personal training, and a choice of 11 gourmet restaurants and seven bars. If you really want to feel like a hero, drain your wallet and book one of the private butlers who will do everything for you; from sorting dinner reservations to running your bath. 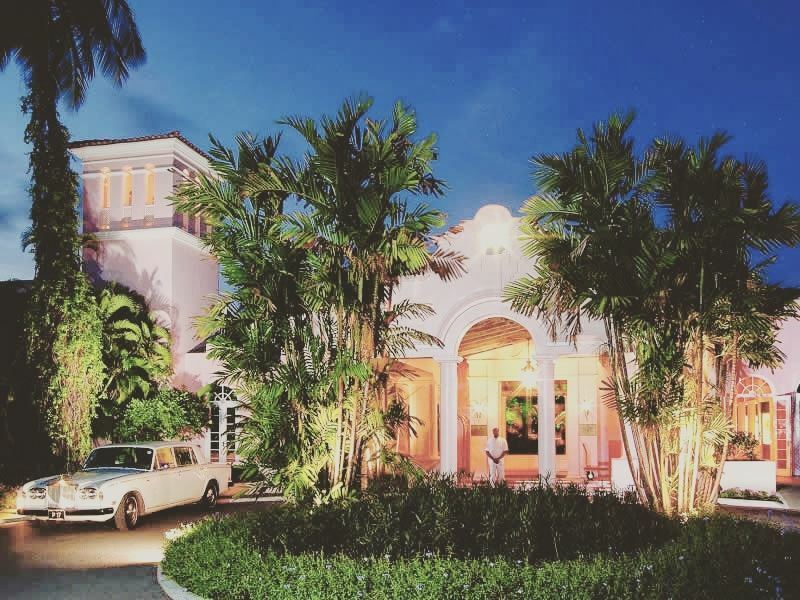 The setting: In 11-acres of tropical gardens facing a palm-fringed sandy beach in the star-studded St James. You’ll be on the west coast, just eight miles from Bridgetown. 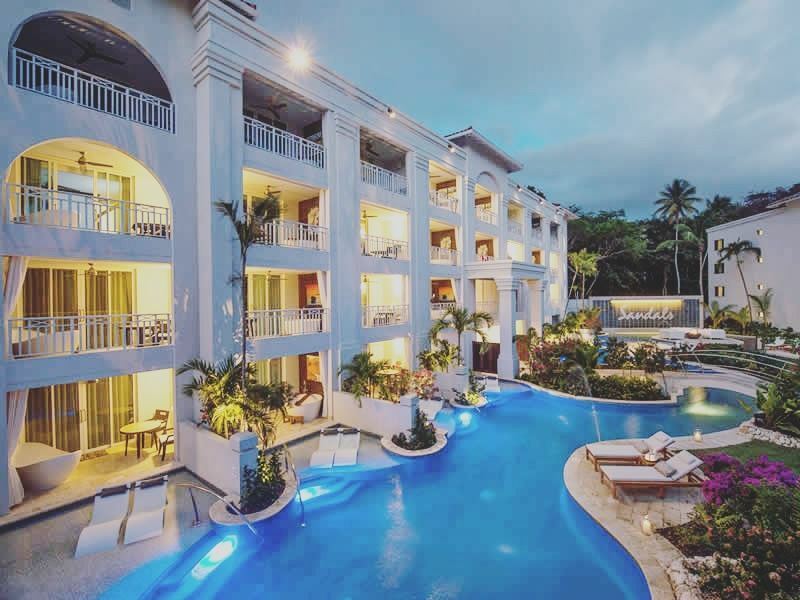 The sleep: Classic colonial-style décor and soothing hues bring a sense of sophistication to the 75 individually-designed rooms and suites - all of which have terraces or glass-fronted balconies overlooking the Caribbean Sea. Nice touches include a king-size bed, flatscreen TV with DVD player, and good-looking bathroom with walk-in shower and deep-soaking tub. The more salubrious Beachfront Junior Suite comes with a private butler service. The scene: Everything at this seaside hideaway is upscale without being fussy or flashy. There’s a superb freshwater pool lined with comfy sunloungers, a decent selection of non-motorised watersports, and a 24-hour gym for fitness fans. Elsewhere, you’ll find a Jacuzzi, floodlit tennis courts, in-room spa treatments, and a beauty salon for hair and make-up packages. For eats and treats, there’s The Palm Terrace for buffets and signature cocktails and the poolside Taboras for ingredient-driven cuisine, all-day snacks and sundowners. The setting: On a 750-foot crescent of shaded glistening sand towards the southern end of Paynes Bay. You’ll be on the west coast, only a 20-minute drive from Bridgetown. The sleep: Spiced up by abstract artworks, floral-patterned soft furnishings and splashes of bold colour, there’s a modish Miami-meets-Caribbean décor theme in the 104 spacious rooms and suites. All are kitted out with a flatscreen TV, iPod docking station, mini-fridge, bathroom with shower and bathtub, and balcony or terrace for day-to-night lounging. Some of the more splurge-worthy corner suites come with sublime sea views. The scene: It’s not just the dazzling location that packs a punch for luxury-seekers. There’s three large pools (including one for adults) as well a fitness centre, Aqua School (water skiing, kayaking, windsurfing), and rather wonderful spa. Dining options include 246 Bar & Restaurant for palate-pleasing à la carte cuisine, Daphne’s for gourmet-style Italian cooking, Sugar Cane Room for buffet breakfasts and Bajan dishes, and Rilaks Deck for anytime cocktails. For guests with children, the kids’ clubs and babysitting services will come in handy. The setting: Surrounded by 12 acres of flower-filled tropical gardens and an idyllic white-sand beach. You’ll be on the island’s west coast, with Holetown practically on your doorstep. The sleep: Each of the 88 rooms, cottages and suites set among the pretty gardens reveals elegant plantation-style décor and a homely vibe. All accommodation has wooden balustrades, fretwork, shuttered windows, and private patios or balconies with chaise longues. There’s also king-sized beds (or twins) swathed in Egyptian cottons, large bathrooms with toiletries, and Wi-Fi access. The Plantation Suites and Luxury Cottage Suites have their own private plunge pool. The scene: The pièce de résistance at this luxurious family-run property is the spa - a four-room sanctuary complete with outdoor couple’s pavilion, crystal steam room, hydro pool, and exotic pampering treatments using Natura Bissé products as well as plants, herbs and fruits from the island. Elsewhere, you’ll find two mosaic-tiled pools, a fitness centre, and complimentary windsurfing, hobie cat sailing, snorkelling and tennis. For culinary thrills, the flagship Coral Reef Club Restaurant offers an à la carte menu that pulls focus on fresh seafood and classic Caribbean cuisine. A year-round casual-elegance dress code applies at dinner. The setting: Tucked away in pristine grounds with trees galore, you’ll be facing a white-sand beach on the island’s west coast. The airport is a 45-minute drive away. The sleep: All 96 smart and spacious rooms at this former 1940’s gentleman's club have coral-stone walls, private patios or balconies, king-size beds (or twins) dressed with deluxe linens, marble bathrooms, and plenty of thoughtful extras. The Oceanview Rooms directly behind the beach are perfectly-positioned for sunset-gazing while the Luxury Poolside Rooms have access to the resort’s lagoon pools that wind through the beautiful palm-filled gardens. The scene: There’s four lagoon-style freshwater pools with a hut that offers free sun cream to guests, complimentary water sports (sailing, snorkelling, kayaking, water skiing, boogie boards, windsurfing, paddle-boarding), floodlit tennis courts, and a peaceful spa. 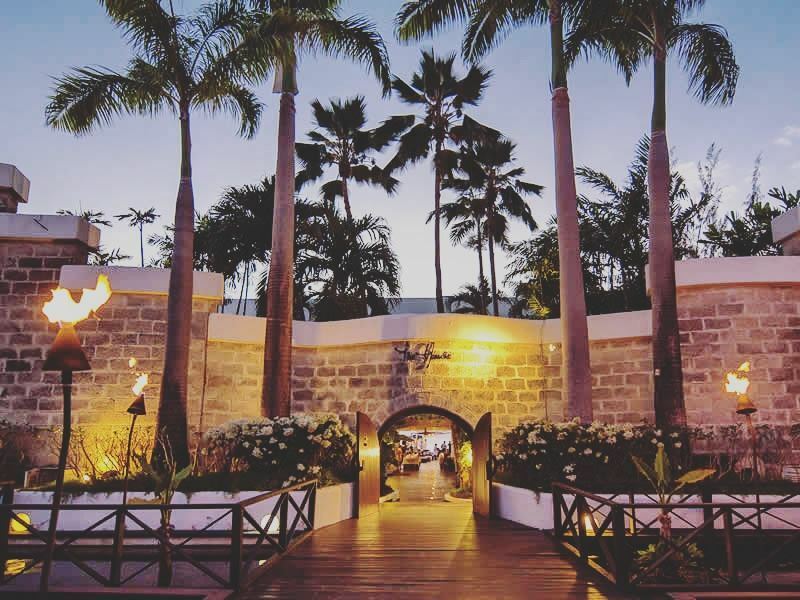 You can also look forward to post-dinner cocktails at the Plantation Lounge, themed lobster and jazz nights and happy hours at the all-day Sunset Bar & Deck, and sumptuous Bajan-inspired cuisine at the Laguna. There’s also an optional Sunday Buffet complete with carvery and seafood corner. The setting: In grounds thick with palms and frangipani that are just steps from the beach on the north-west coast. Just along the road is Speightstown, Barbados’ second-largest town. The sleep: There’s 40 newly-renovated suites, all of which are clustered in a horseshoe around the palm-filled garden. 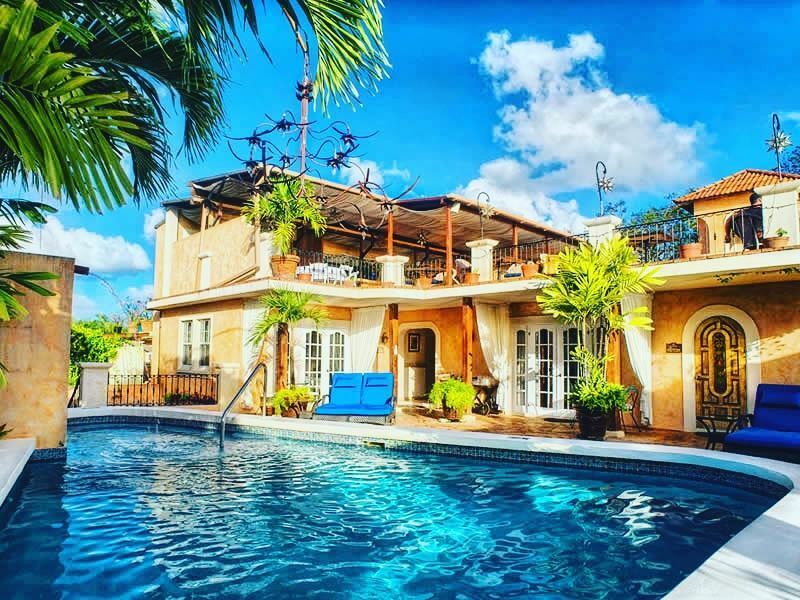 Expect colonial-style décor, spacious indoor and outdoor living areas with wicker chairs, four-poster beds, and enormous bathrooms with pretty tiles and walk-in showers or bathtubs. The two best ones (Camelot and Colleton) come with their own rooftop terrace and plunge pool. The only thing missing here is a TV, but that’s not the hugest deal. The scene: Built as the seaside getaway for a wealthy sugar baron and politician in 1943, the vibe at this candyfloss-pink plantation house is old-fashioned English country-house hotel with a stylish Caribbean kick. 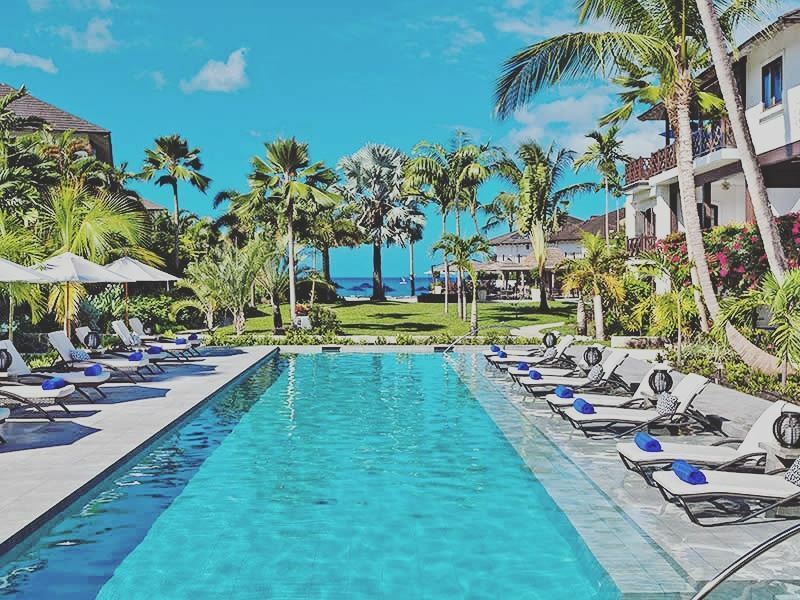 As well as a small pool, gym, tennis court and spa, there’s posh drawing rooms for cosying up with a good book or taking afternoon tea as well as a great bar for fine Bajan rums, fresh juices, and anytime cocktails. Most standout, though, is the signature Camelot Restaurant that serves impeccable cuisine and hosts weekly seafood and oyster events. 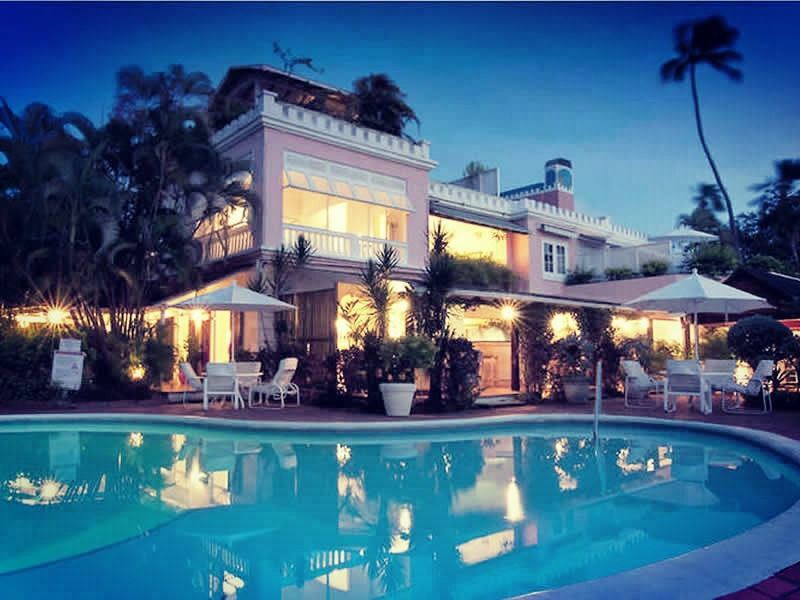 The setting: In 12 acres of beachside tropical gardens behind a sandy inlet on St James Beach. You’ll be just a short hop from Holetown. 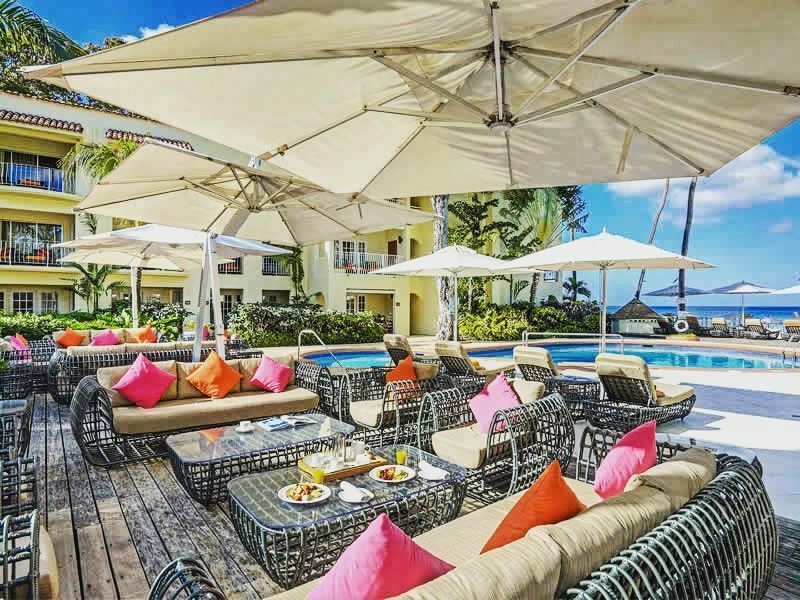 The sleep: Spread around flower-filled and bird-rich gardens, the 50 tasteful rooms and suites assure colourful Caribbean décor, tiled flooring, good-sized terraces or balconies, and plenty of in-room gadgetry. For blow-the-budget fabulousness, the more salubrious new Beach House Suites offer fashion-forward design, striking bathrooms, separate living rooms, large patios with wet bars and sun decks, and media centres with TV, music and movie choices. The scene: Flaunting its new good looks following an extensive refurb in 2015, this family-run boutique hideaway has been laying on the luxe since the 1970s. There’s two pools (one of which is a brand new sleek lap pool) as well as a gym, two tennis courts, intimate terrace bar, decked sunbathing area, and watersports centre. Further highlights include an award-winning restaurant fringed by koi-filled ponds. There’s no spa, but you can book treatments and use the crystal steam room and hydro pool at Coral Reef Club, the neighbouring sister-property. The setting: Near the white sands of Enterprise Beach (also known as Miami Beach by locals) on the outskirts of Oistins - the charming fishing village on Barbados’ south coast. The sleep: There’s 10 ocean-facing rooms and suites at this grown-up playground, all of which are kitted out with plush décor, artist-commissioned watercolours, wrought-iron furniture, terracotta flooring, and four-poster beds. 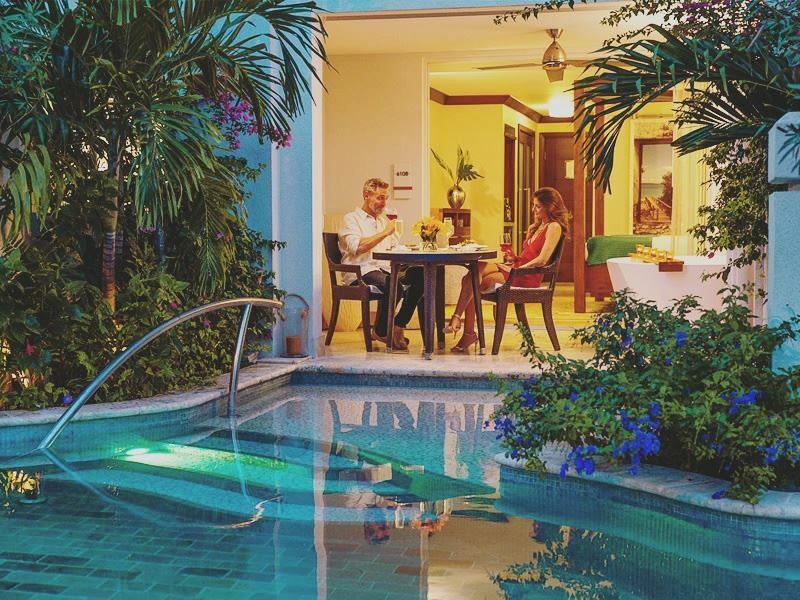 For bragging rights, book one of the more expensive suites that come with a private plunge pool or outdoor Jacuzzi. Please note that this is an adults-only resort and all rooms sleep two guests. The stay: For wide-eyes romantics, this little hacienda-style charmer has a roof-deck freshwater pool with hammocks, mini spa with beauty treatment menu, and award-winning eatery serving Pan-Tropical fare (a unique fusion of Caribbean, Asian and Mediterranean flavours). There’s also a spacious terrace for end-of-day cocktails as well as complimentary bicycles to explore the local area. 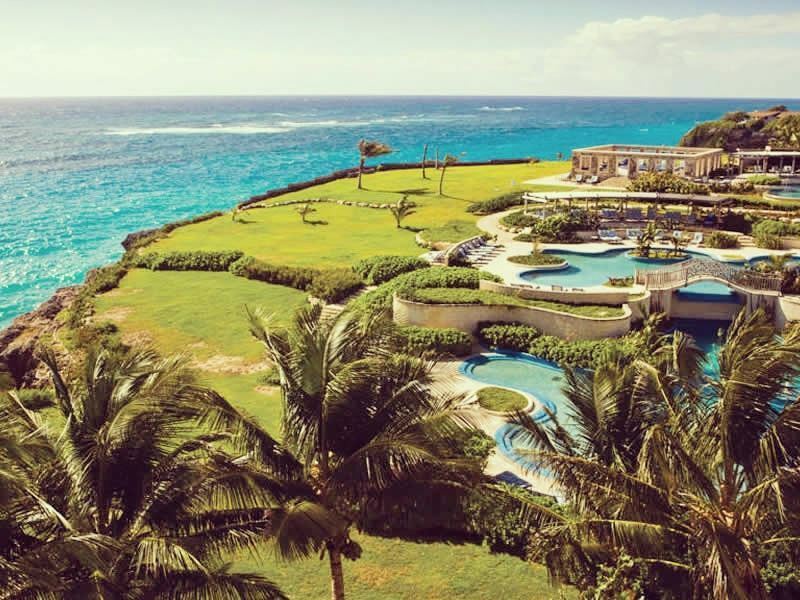 But the real deal breaker is the famous 18-hole Barbados Golf Club that’s just a five-minute drive from the hotel. The setting: Overlooking the glistening golden sands of Paynes Beach in St James on the island’s west coast. The sleep: There’s only 34 junior and one-bedroom suites at this adults-only resort, all of which assure carefully-curated modish décor and lovely sea or garden views. Each comes with a feather-topped king bed (or twins) with luxury cotton linens, bespoke wooden furniture, French doors, and state-of-the-art rain showers. Nice touches in the swoon-worthy Luxury One-Bedroom Suites include a living room, Nespresso machine, two bathrooms, and spacious balcony. The scene: It’s all about the champagne breakfasts, afternoon teas and evening canapés at this home-away-from-home that’s strictly for grown-ups. There’s a library, 24-hour gym, complimentary motorised and non-motorised watersports, and spa treatments next door at the Tamarind. But what gets all the glory here is Daphne's - the mainstay of Barbados' upmarket dining scene that’s an offshoot of the famous London restaurant. The mostly Italian cuisine is excellent, and there’s also a well-stocked bar for happy hours and pre-dinner cocktails.